M/V "BIGFISHER" is seaborn again after installing new gear and engine. 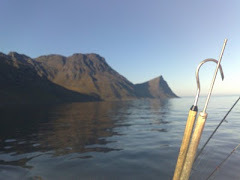 Had a wonderful trip with good friends - Burkhard, Henrik, Gunter and Max from Finnkroken and Hav og Fjell yesterday. 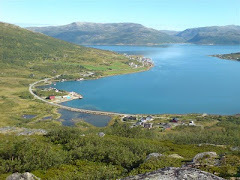 The trip went around Ringvassøy, Rebbenesøy, Hattøy and Sandøy and returned to harbour in Tromsø via Kvalsundet. Weather was excellent for this time of the year, and fishing was thrilling. 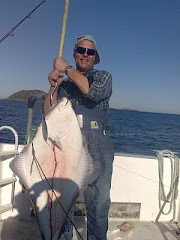 Best catch had Max, a 140 cm - his first halibut - !! 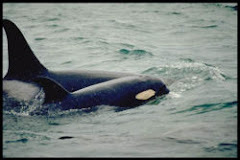 on very shallow water.He had a nice fight with a strong halibut - a memory for lifetime I believe !! 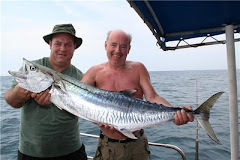 The fish was taken pictures of and then released back to its wonderful territory. 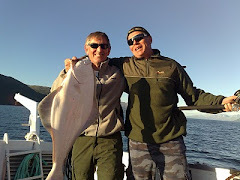 Henrik had the second largest - a 105 cm halibut- really nice fish !! Henrik also had a new PB - a nice cod at 18 kg. 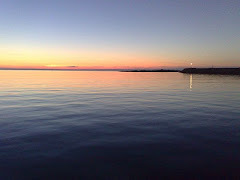 After good fishing and watching the sunset in the open sea we returned back home late in the evening. 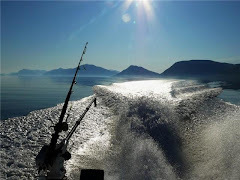 Look forward to many nice halibut-hunting trips in september, october and november - in my opinion the most exciting and best part of the hunting season.